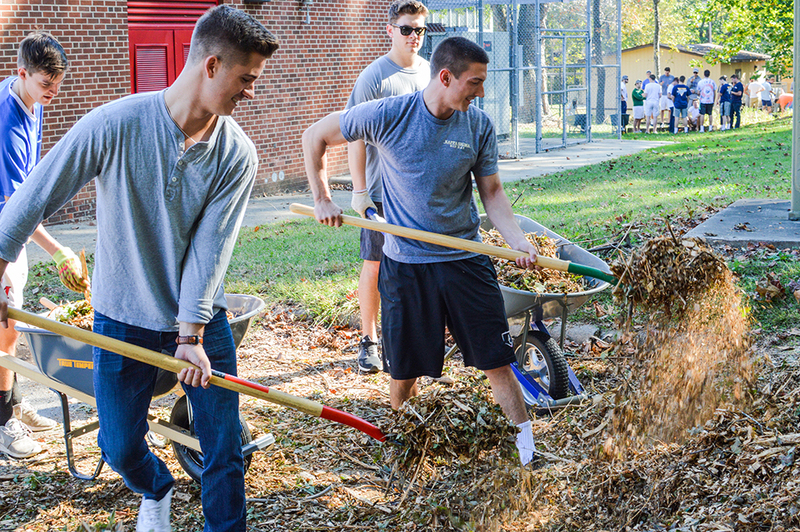 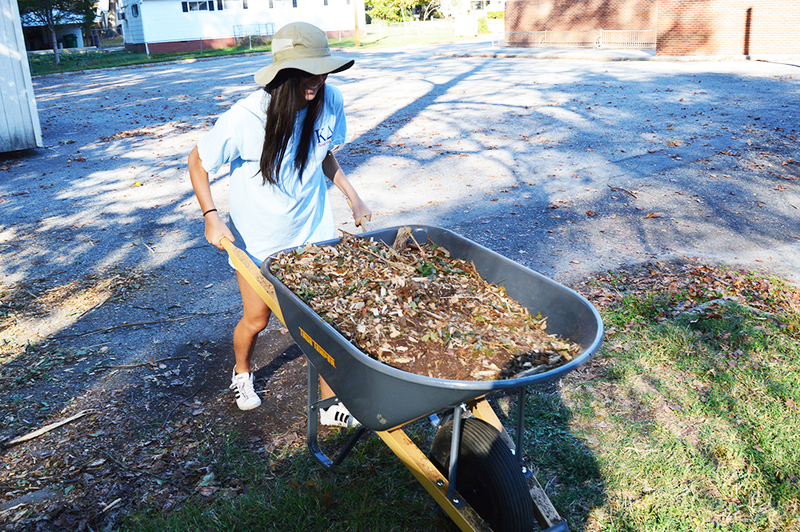 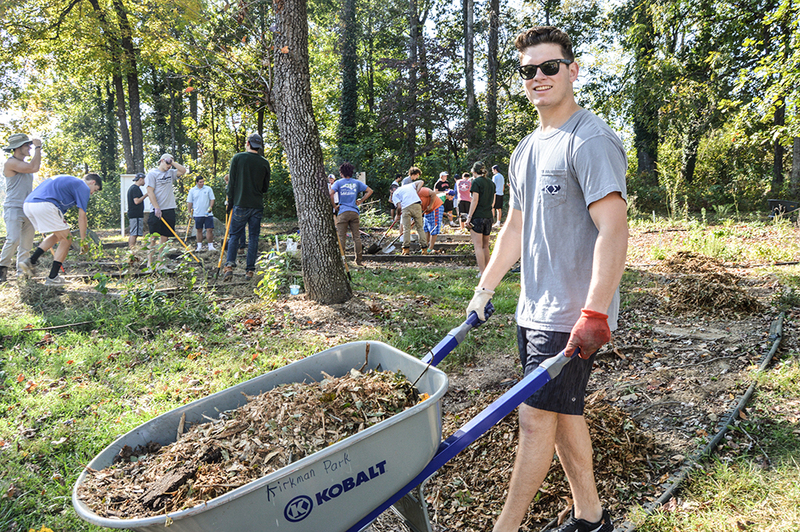 HIGH POINT, N.C., Nov. 9, 2016 – High Point University’s Kappa Sigma Fraternity and Kappa Delta Sorority partnered with FoodCorps to prepare the gardens at Kirkman Park Elementary School for the coming winter months. 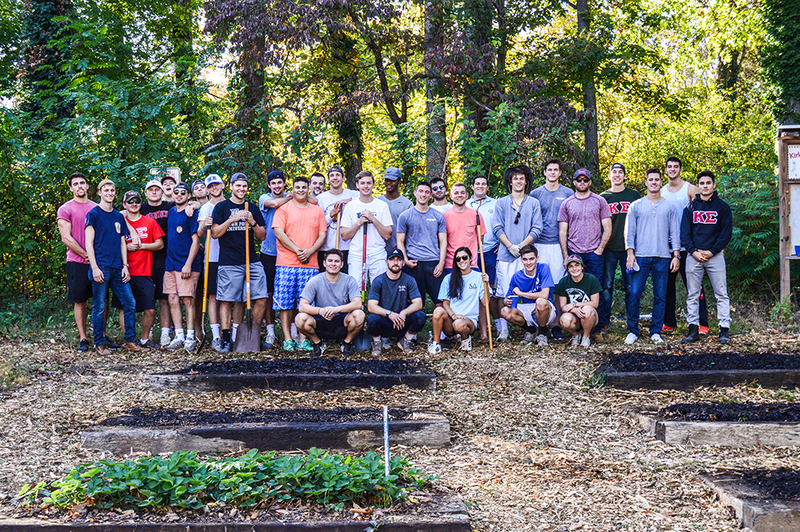 While volunteering with Big Brothers Big Sisters at Kirkman Park, one member of Kappa Sigma noticed the gardens and thought they could use some help. 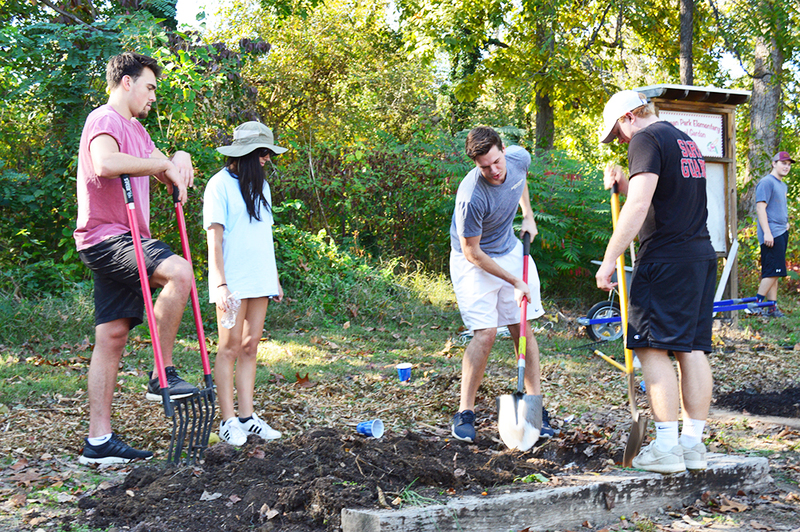 As a result, the three groups came together to pull weeds, spread mulch, fertilize the gardens and paint garden signs. 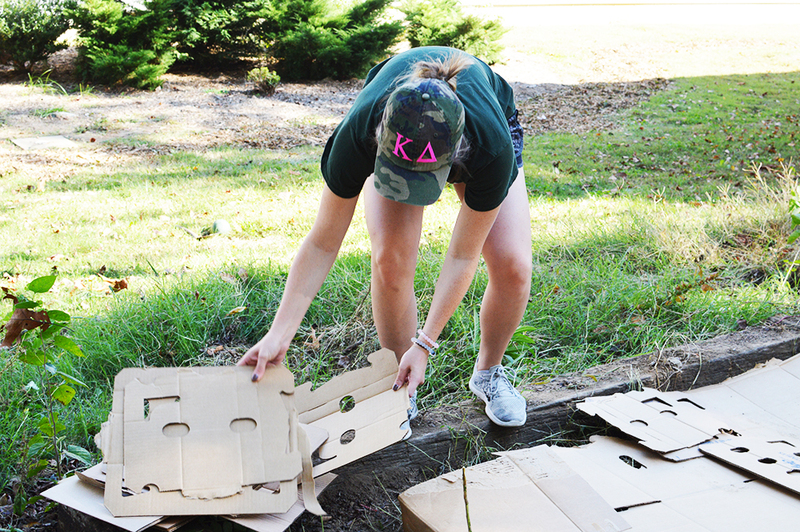 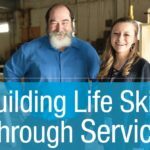 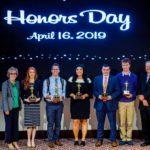 Both Kappa Sigma and Kappa Delta give back to the local community and national organizations year-round, with initiatives to raise funding and encourage community service. 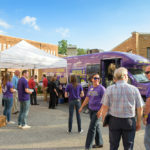 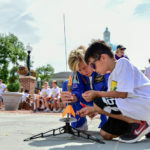 FoodCorps is a national network of state and local partners that aim to connect kids to healthy food in school with hands-on lessons like gardening and cooking.